Local planning politics on Los Angeles’s Westside is in a sad state of affairs. There, a municipally-led push to complete city streets by adding bicycle infrastructure and other pedestrian improvements has been met with fierce opposition from local drivers. Recent efforts in L.A’s Mar Vista neighborhood, for example, grew so toxic that community members launched a now-stalled recall bid to remove Mike Bonin—the local council person who champions the so-called “road diets” as well as the city’s Vision Zero plan those diets support—from office. The embarrassing spectacle has thrown into question the commitment L.A. residents have not only toward prioritizing the City’s plan for eliminating all traffic deaths by 2025, but also their reluctance to take personal responsibility for reducing transportation-related carbon emissions across the region. Nevertheless, there might be hope yet. That hope comes in the form of a new downtown plan taking root just a few blocks from Mar Vista, in the City of Santa Monica. The beachside municipality recently approved its new Downtown Community Plan (DCP), a document that looks to convert downtown Santa Monica into a “complete community” offering dense urban housing, multi-modal transportation options, and a healthy sprinkling of public open and green spaces. The city’s planning agency has taken a variety of steps to promote this vision by increasing maximum Floor-Area-Ratios for sites that include housing development in certain zones, eliminating parking minimums for some types of new construction, and pushing to reconfigure downtown streets in the image of universal transport. Through this new plan, the municipality is working to expand the functionality of its sidewalks and streets by increasing their capacity to support bicycle infrastructure, demarcating specific loading zones for buses and ride sharing services, and recognizing key “signature sidewalk” areas that will strategically enhance street life. The plan indicates that Santa Monica city officials are keenly aware that the future of the L.A. region will depend just as much on what happens in the spaces between buildings as it will on the buildings themselves. Critically, the plan also calls for capping the western terminus of Interstate 10 with a new park, a move that would fully transform the southern edge of the city into a civic and commercial node while also providing the city with an opportunity to rework surface streets to better accommodate the new focus on multi-modal transport. The section of I-10 in question sits in a 20-feet-below-grade channel spanning roughly 7,000 feet across what was once the city’s civic core; the stretch of highway is bounded on one side by Santa Monica City Hall and Ken Genser Square and on the other by the James Corner Field Operations–designed Tongva Park. Santa Monica Lookout reports that the DCP’s Gateway Master Plan element—the document spelling out just how the highway-adjacent areas are to be redesigned—will go up for consideration by the city’s Department of Planning and Community Development sometime this spring. The department recently issued a report that includes support for the freeway cap as part of several long-term changes for the city. The report describes the freeway park’s ability to offer a “unique opportunity for strengthening connections” within the city as a principal reason for its construction. Aside from proposing a specific, multi-modal plan for reconnecting the city’s street grid, the Gateway Master Plan will envision a method for reworking and connecting several key sites surrounding the future park, including an adjacent Sears department store complex, the Santa Monica Civic Center, and nearby Expo Line and Big Blue Bus stations. 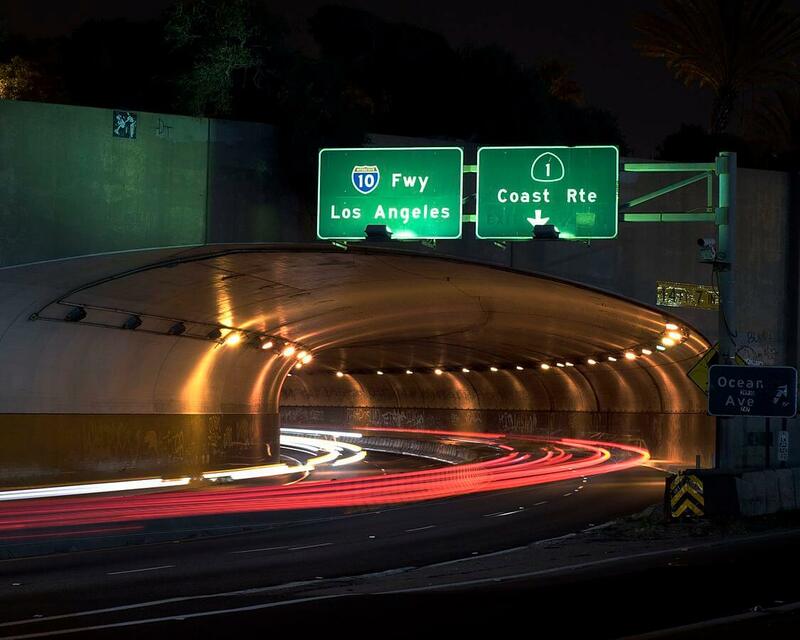 Although calls for the freeway cap park in Santa Monica date back to the 1980s, recent years have seen a bevy of proposals for similar installations across the Los Angeles region, including over Interstate 110 in Downtown Los Angeles and over U.S. Route 101 in Hollywood. Another proposal is still in the works to cap another portion of U.S. Route 101 with an overpass that would allow local mountain lions and other fauna to traverse the highway safely. Though Santa Monica’s freeway cap is still in the early stages of approval, the municipality expects to implement the initial phases of the Gateway Master Plan by 2021. An official timeline for the freeway cap park has not been released.